If you are looking for proven, effective treatment for Tennis or Golfer’s Elbow or any other sport condition, you can turn to the orthopedic and pain specialists from Ortho Sport & Spine Physicians in Atlanta. We are an Interventional Sport and orthopedic practice that specializes in finding solutions to chronic pain conditions, including Tennis and Golfer’s Elbow. Our double board certified physicians are committed to using the most advanced and minimally invasive treatment methods to help patients who suffer from this chronic condition find long-term relief from their pain and other symptoms so they can return to an active, healthy and productive lifestyle. Ortho Sport & Spine Physicians is pleased to offer expert Golfer’s Elbow and Tennis Elbow treatment to the residents of Atlanta and throughout the Southeast. Golfer’s Elbow and Tennis Elbow are similar conditions that are caused by overuse of the muscles and tendons of the forearm. This overuse leads to inflammation and pain around the elbow joint. 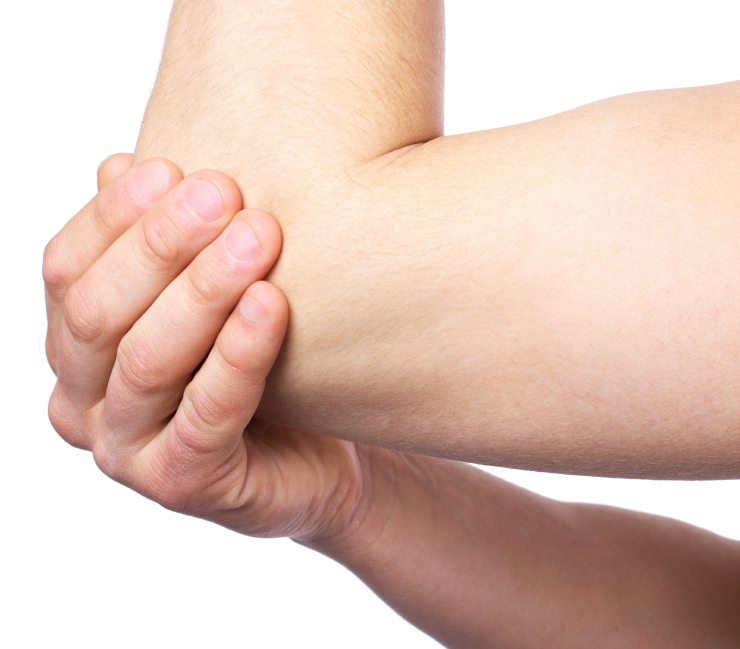 In some cases, this condition can also be caused by an acute injury to the forearm. Before recommended any type of treatment plan for Tennis or Golfer’s Elbow, our physicians will conduct a thorough evaluation to confirm the diagnosis and specifically pinpoint the source of the problem. At Ortho Sport & Spine Physicians, we have a lower patient-to-provider ratio than many other orthopedic and sports medicine practices. This enables us to give each and every patient the time and attention they need and deserve. If you are diagnosed with Golfer’s or Tennis Elbow, our physicians will discuss your symptoms and goals for treatment and then come up with a customized treatment plan that is tailored to meet your specific needs. Our goal is to help you find relief from your current symptoms and help prevent symptoms from reoccurring so you can get back to playing tennis, golf or participating in the activities you enjoy. At Ortho Sport & Spine Physicians, we help individuals find relief from Tennis and Golfer’s Elbow. If you are suffering from elbow pain, please contact our Atlanta Tennis Elbow Treatment Specialists today to schedule a consultation. For your convenience, our practice accepts most forms of insurance as well as several other forms of payment. We look forward to helping you stay active and live your best life!